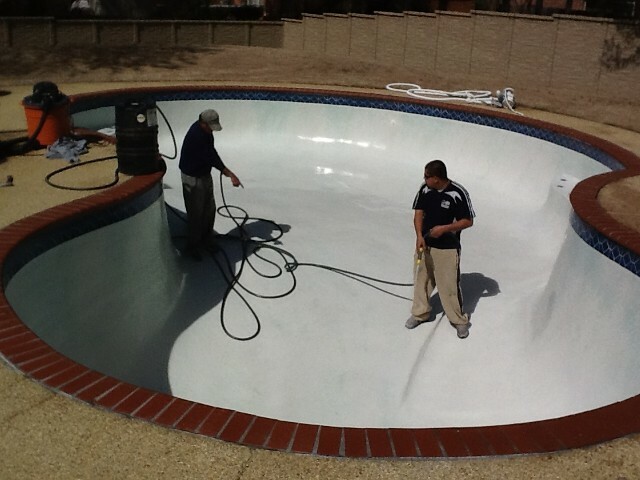 Goin' Swimmin' Pool Service is prepared to get your pool ready for the swimming season. 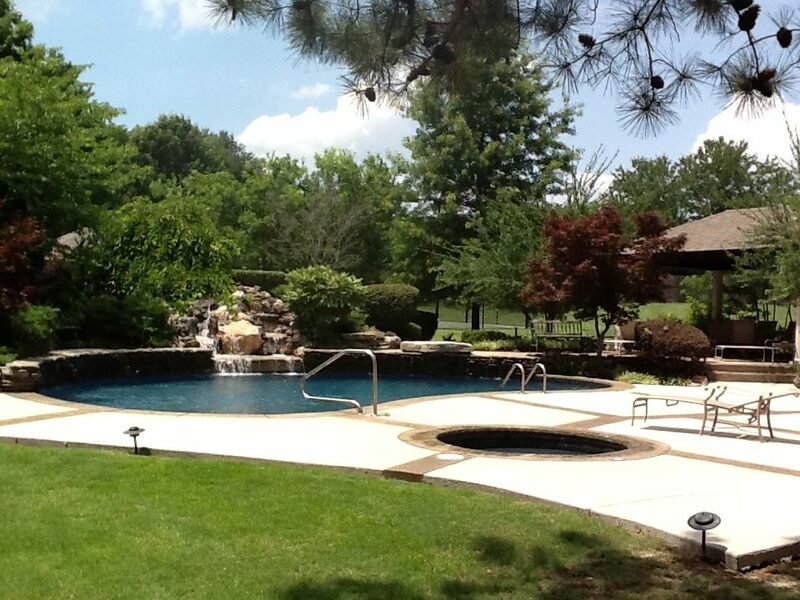 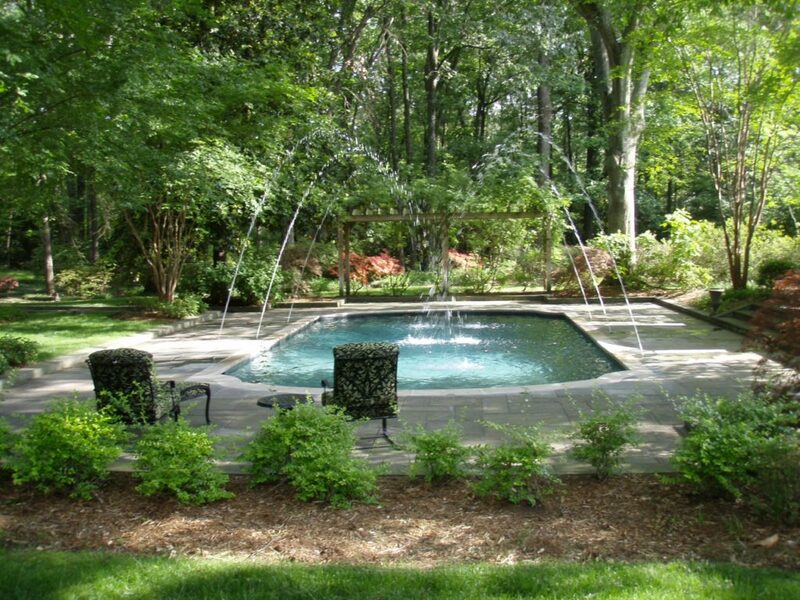 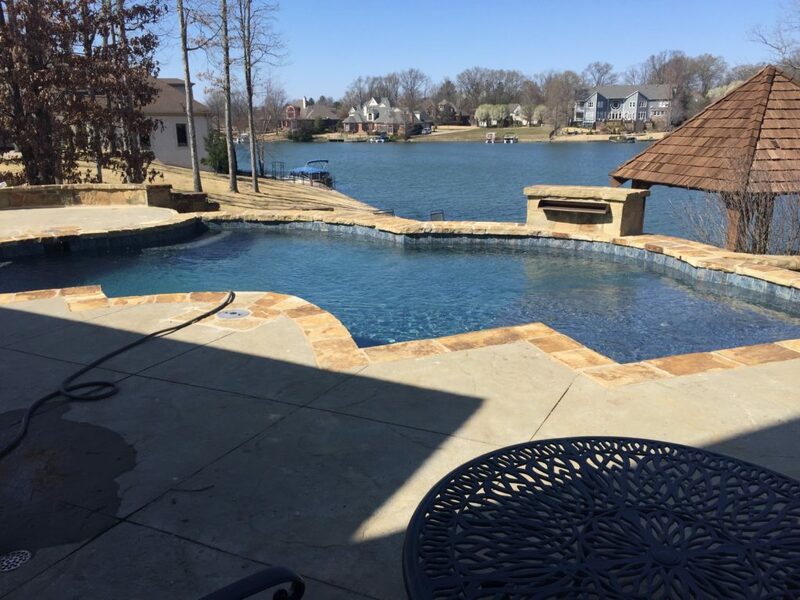 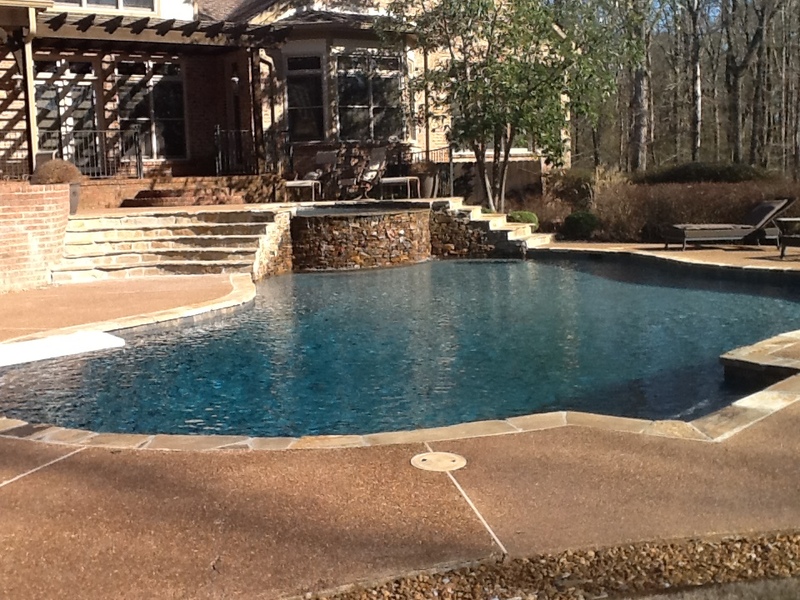 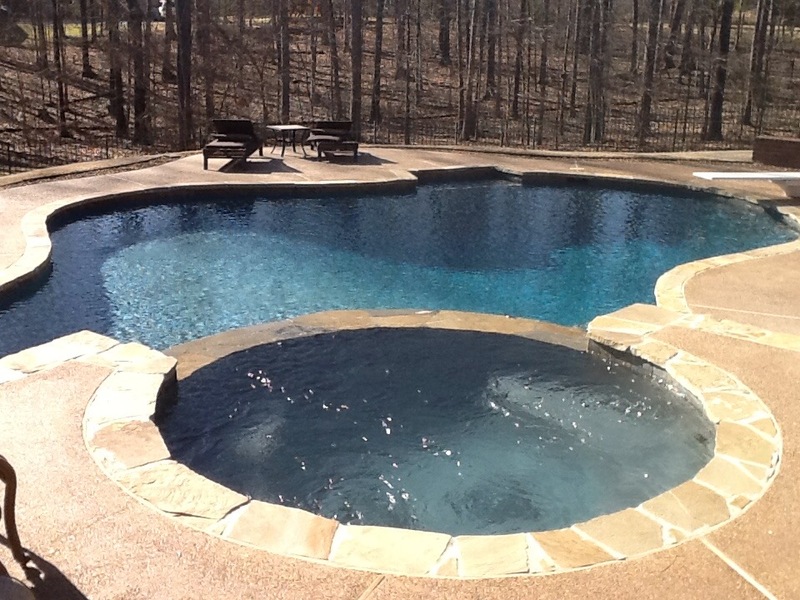 Typically, early spring time is the best time to uncover your pool and getting it de-winterized. 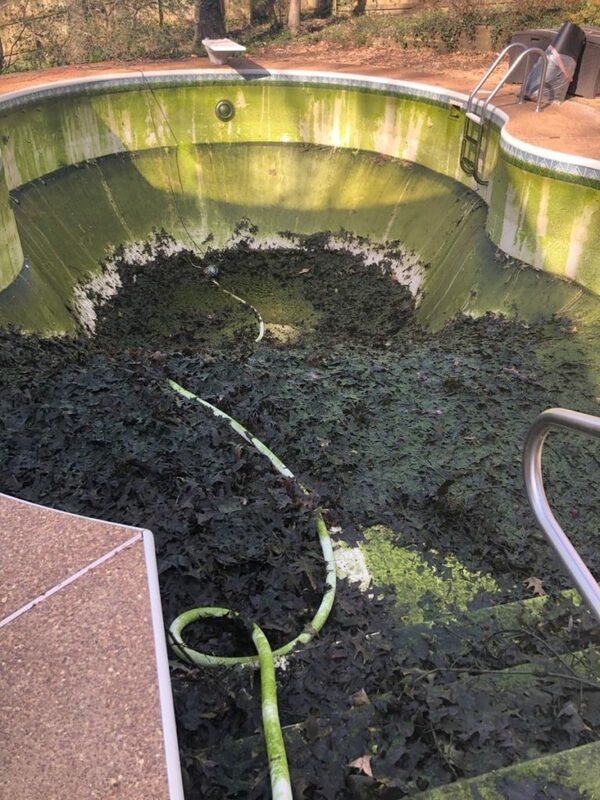 If you wait until the weather is warmer, the water temperature begins to rise causing algae growth. 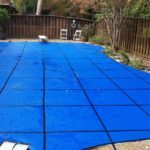 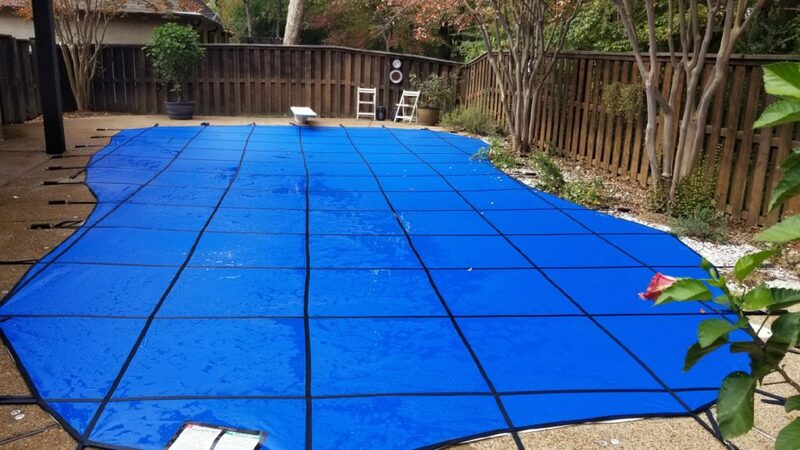 Additionally, even though mesh safety covers hold back leaves and debris, rainwater and small foreign particles are still able to penetrate through the mesh cover, combined with the warmer water, this will produce a green pool. 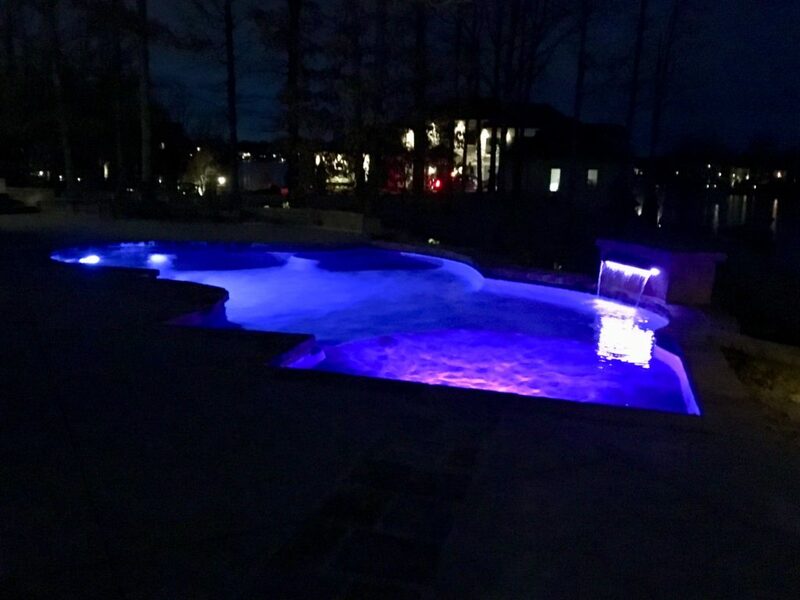 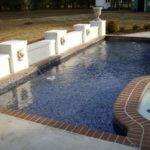 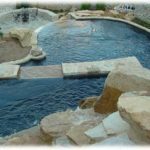 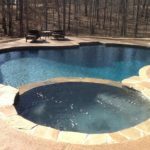 While most pools have little or no problems starting up, it is safe to assume that there could be repairs that are needed due to your pool sitting idle during the winter months. 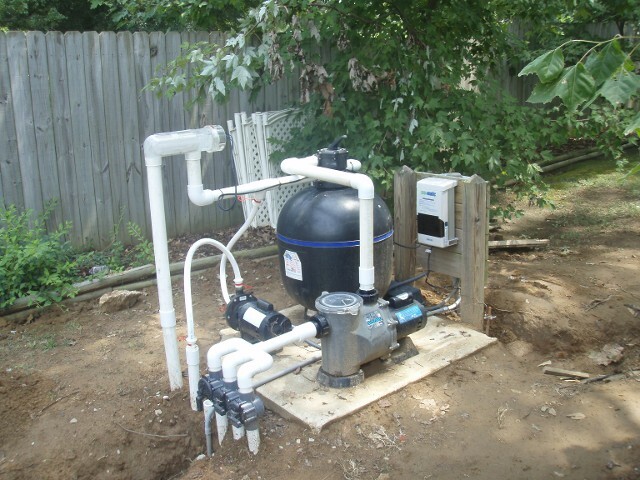 You can encounter motor or filter problems, plumbing repairs, or unforeseen maintenance issue needing attention. 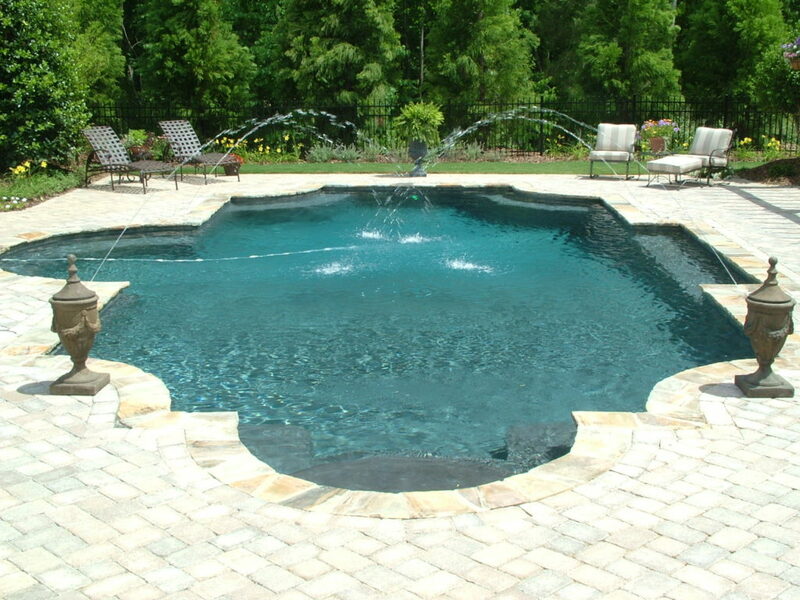 Remember......Your pool has been sitting idle all winter. 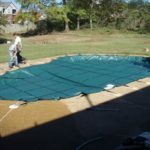 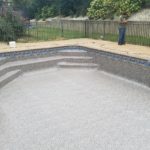 Don't expect that when you uncover your pool that the water is going to be perfect and crystal clear. 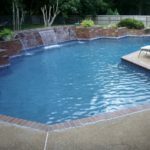 You need to allow your pool time to operate and filter with chemicals. 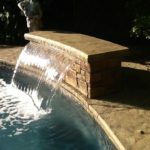 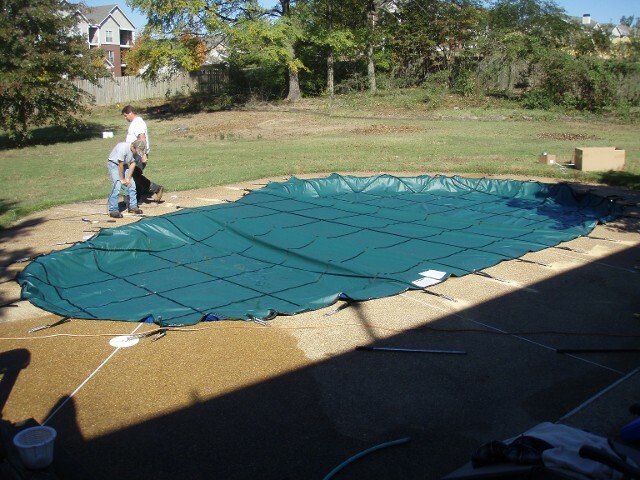 Try not to wait until the last minute before needing your pool for that special event or party. 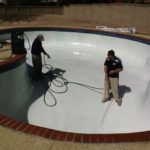 Goin' Swimmin' Pool Service will prepare your pool and get it ready for the winter time. 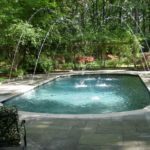 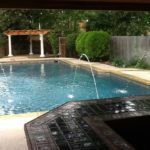 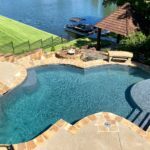 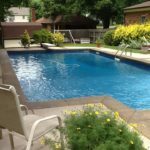 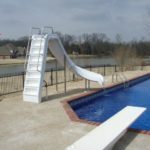 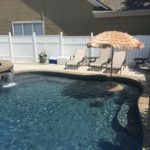 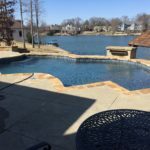 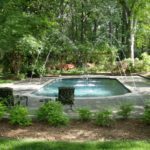 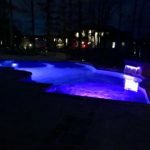 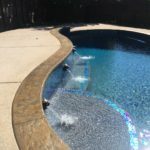 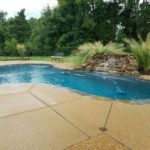 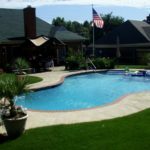 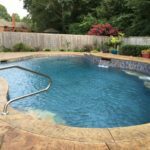 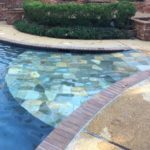 Depending on your situation and the layout of your backyard, some customers choose not to close their pool; however, others do not want to combat the overwhelming battle with the Fall Season and leaves. 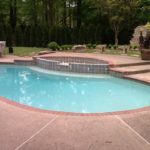 There is no set rule as to when you should close down your pool for the winter months. 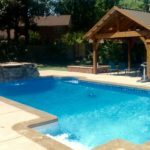 After Labor Day has past, some pool owners start to consider shutting down their pool for the winter. 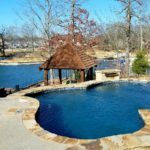 Some pool owners want to wait until the leaves start falling and the work gets too much to handle. 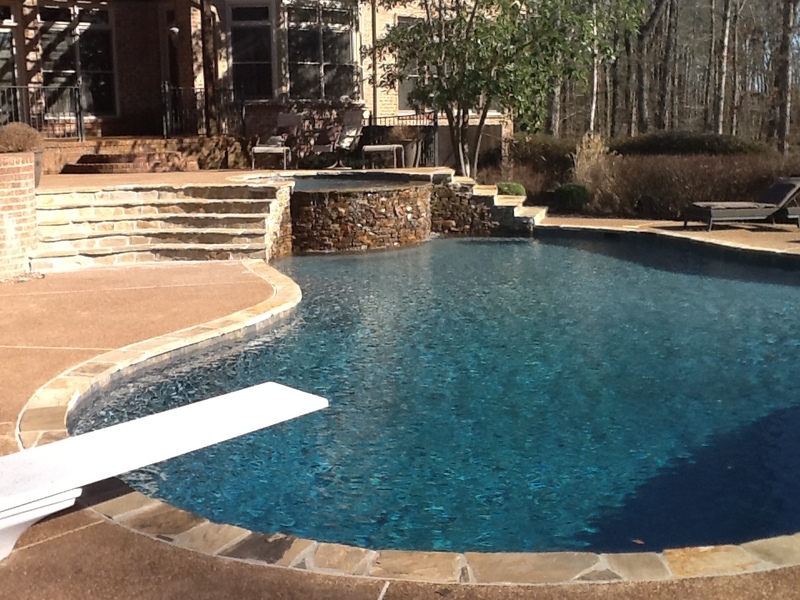 Others choose to let their pool operate year round. 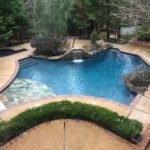 Goin' Swimmin' Pool Service will go the extra mile to winterize and properly close down your pool. 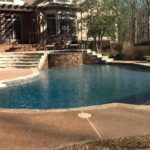 From removing water in your underground lines to treating your pool with the right winter chemicals, we want to reduce the cost when it comes time to start up your pool in the spring months. 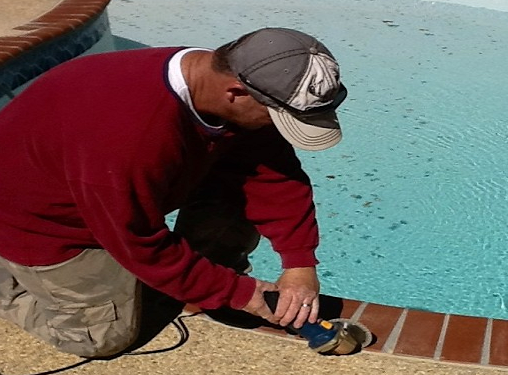 Goin' Swimmin' Pool Service has the right equipment to identify the smallest of holes in your liner. 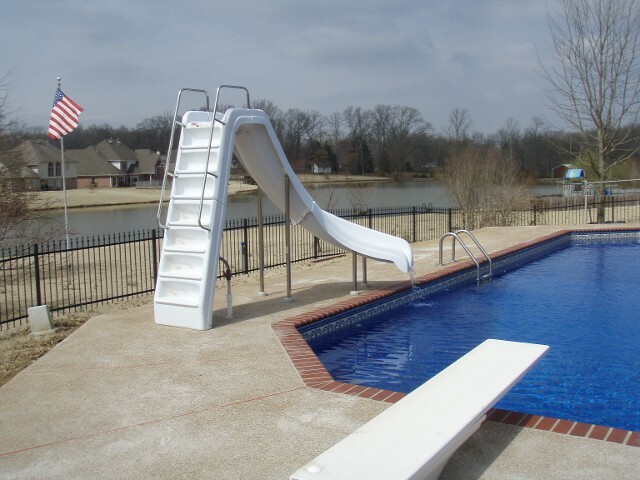 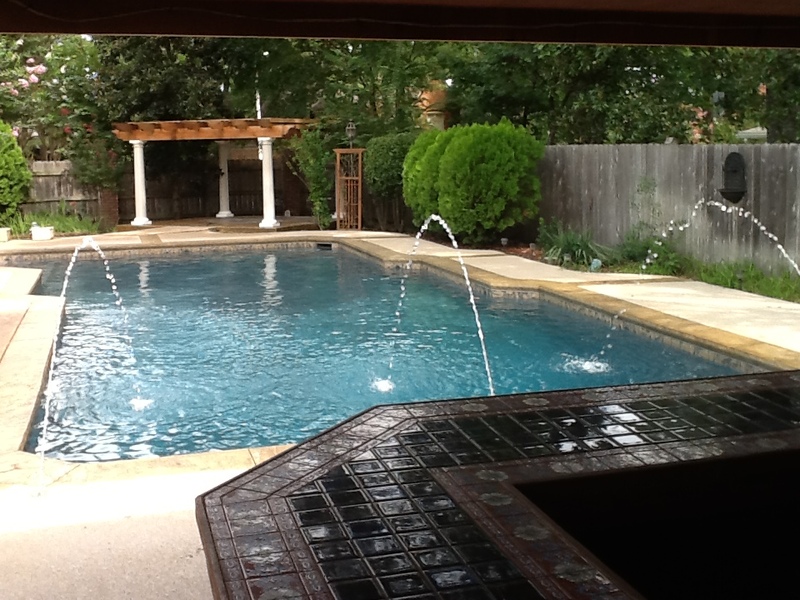 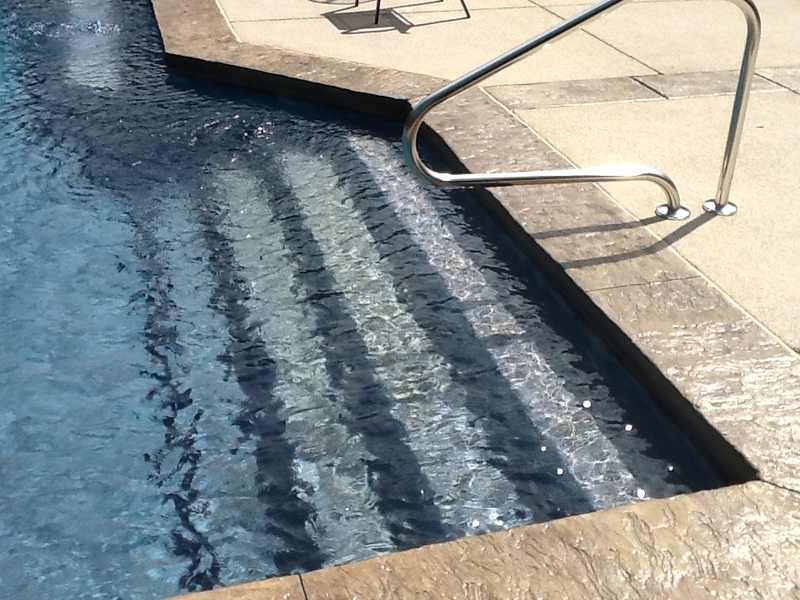 While standing on the deck, we are able to thoroughly examine the inside of your pool using our scanner equipment. 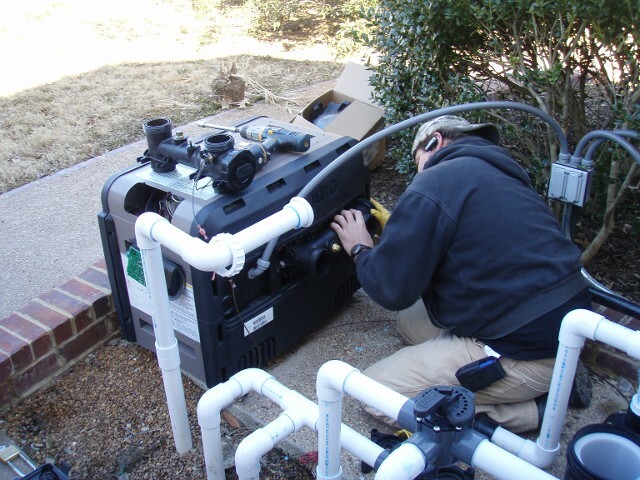 Usually within the first hour we are able to pinpoint the exact location or source of a leak. 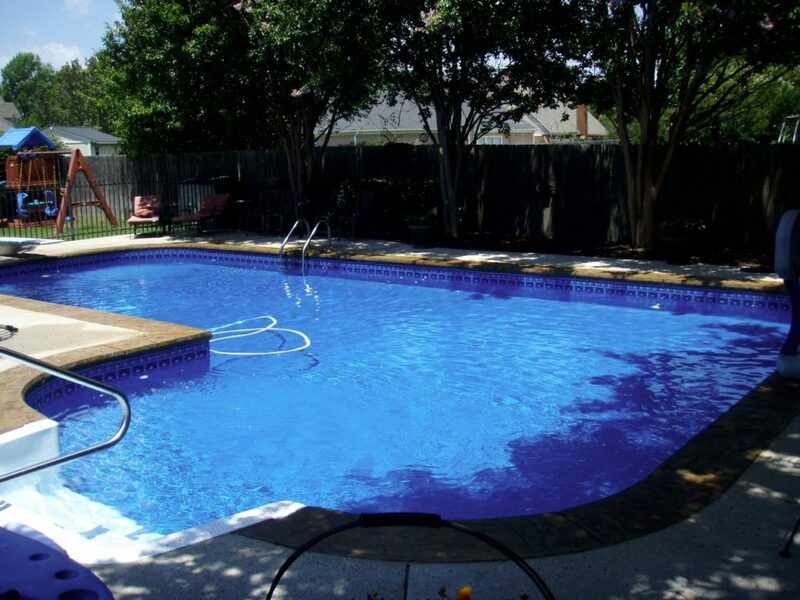 Goin' Swimmin' Pool Service is also known for our excellent leak detection and repair skills. 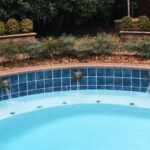 We employ sonar technology to determine the location of a leak. 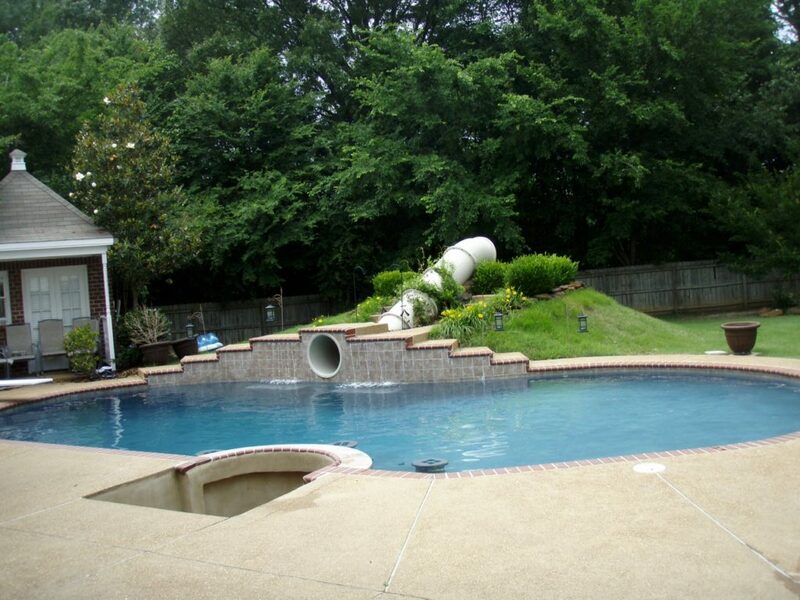 Moreover, we also use sonar equipment throughout your pool deck and yard area to locate a broken or cracked pipe. 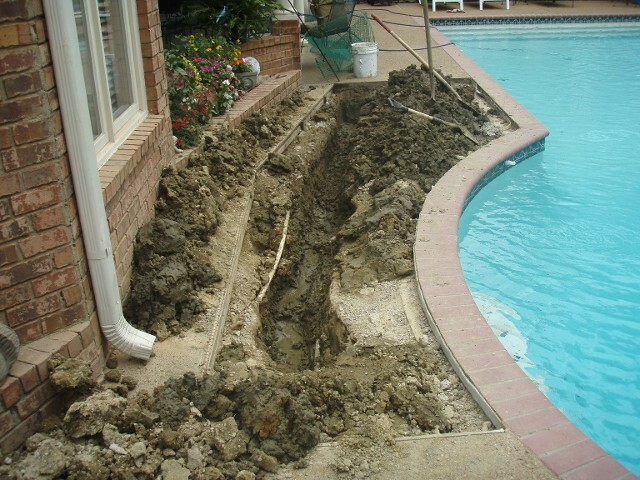 Pinpointing and identifying the leak prior to digging minimizes the amount of destruction and repair that will be required to bring your swimming pool back up to standards. 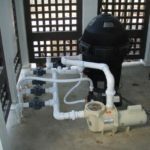 Saving you time and money by using the right tools for the job further illustrates our commitment to bring you the most affordable and reliable service. 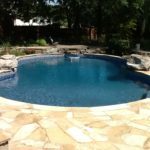 Your choice for superior customer service and dependable repair services, Goin' Swimmin' Pool Service, will also repair your pool machinery. 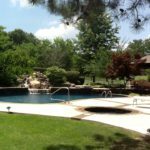 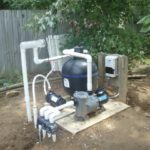 If you are experiencing problems with your pools pump or motor, our skilled technicians have the skills to troubleshoot, repair, and replace any faulty equipment. 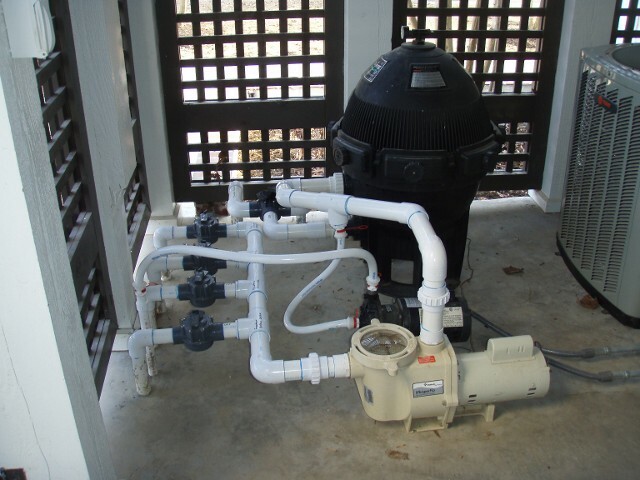 For more information on and VARIABLE SPEED MOTOR that can reduce your energy cost up to 50 percent Click here! 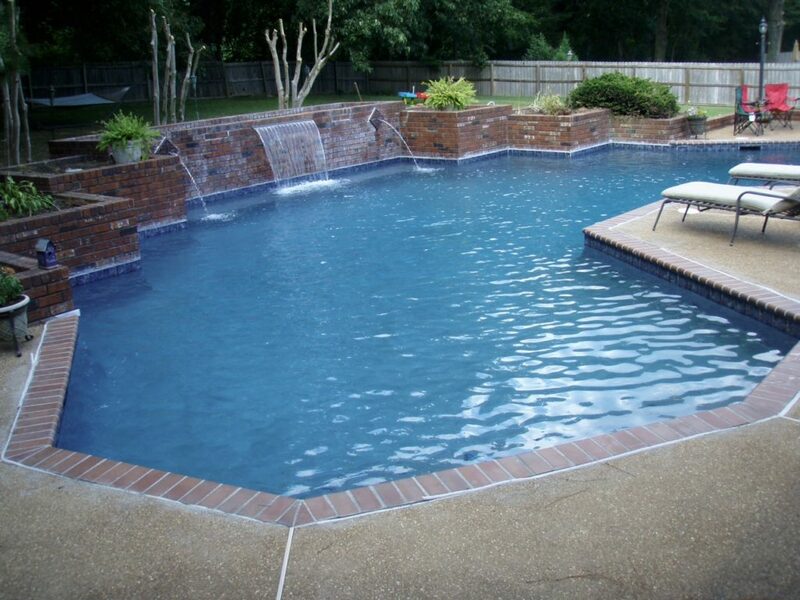 Contact Us for your Free Estimate on repair. 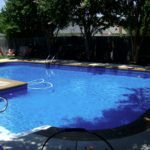 Goin' Swimmin' Pool Service is prepared to take care of your pool year round. 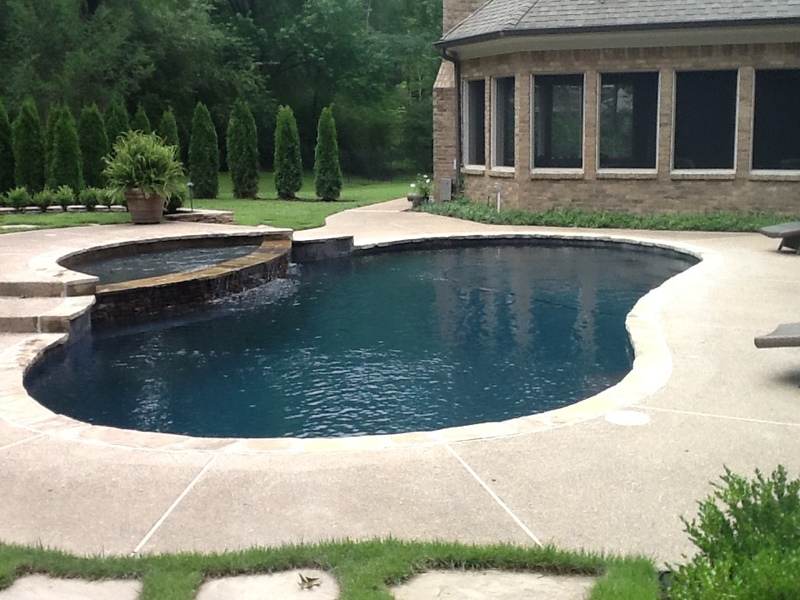 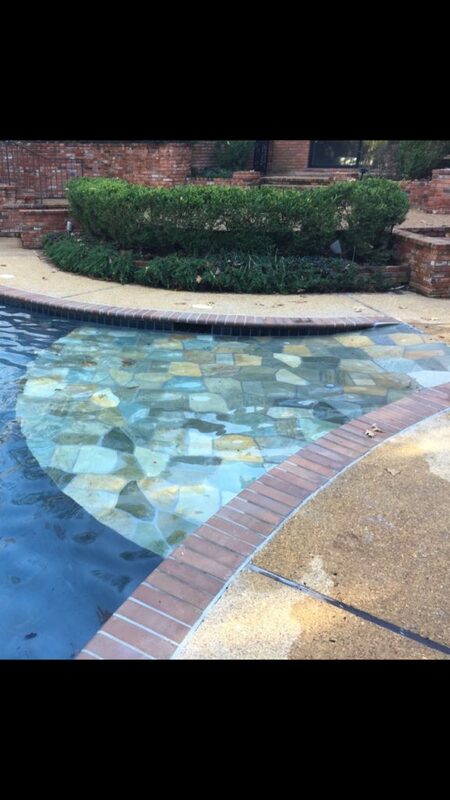 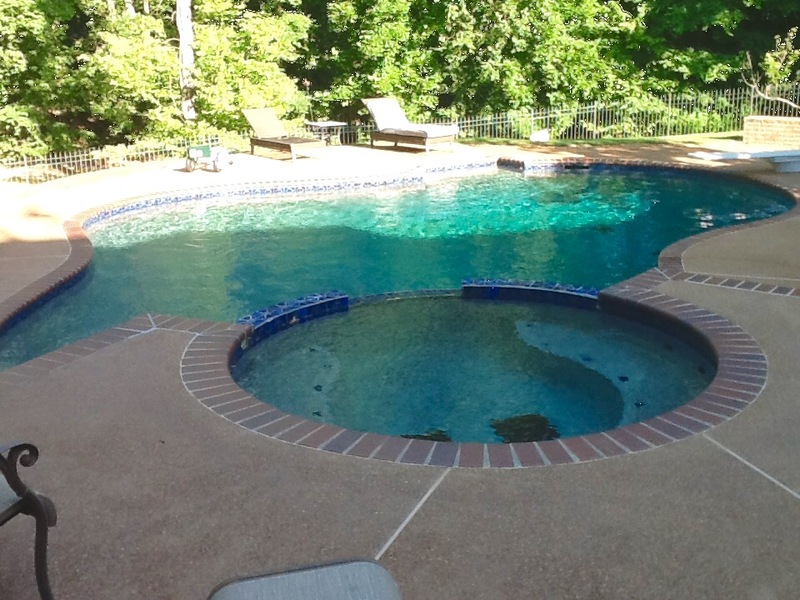 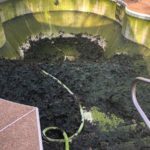 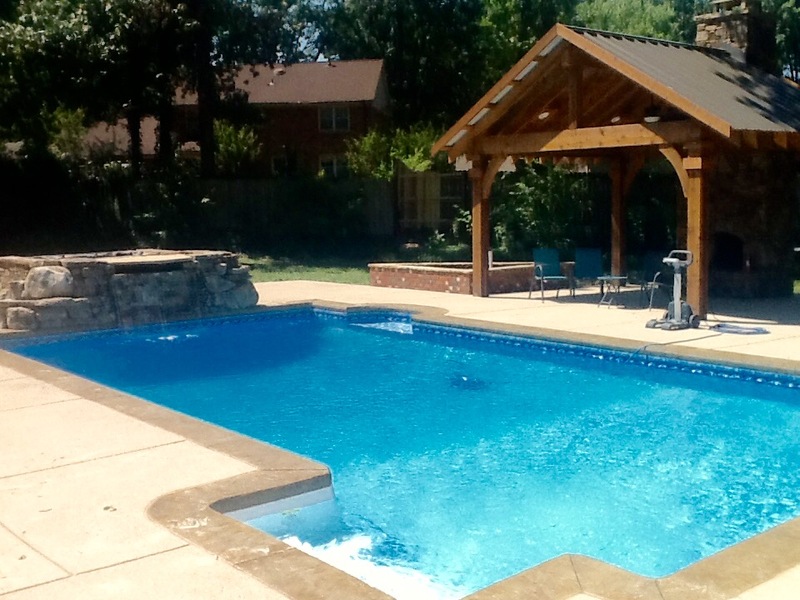 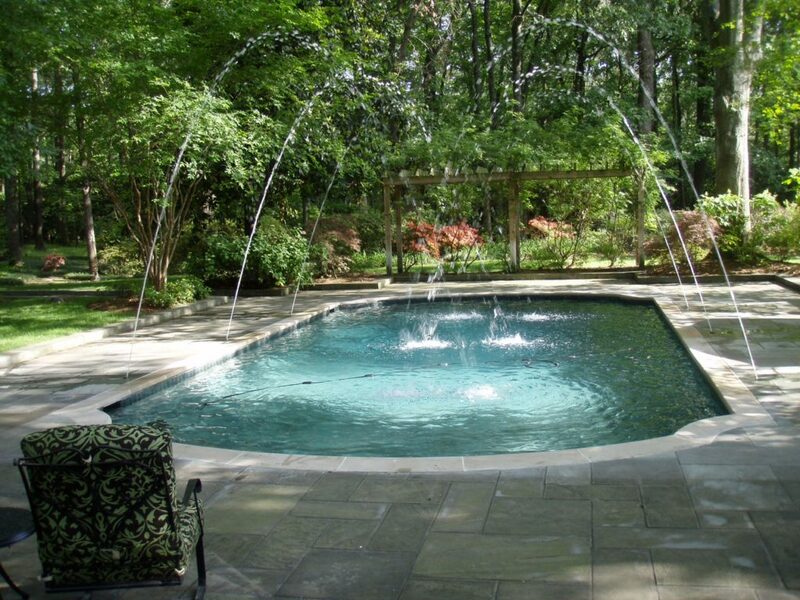 Just because the swimming season is over doesn't mean your pool can be neglected. 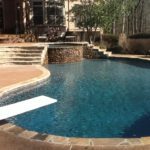 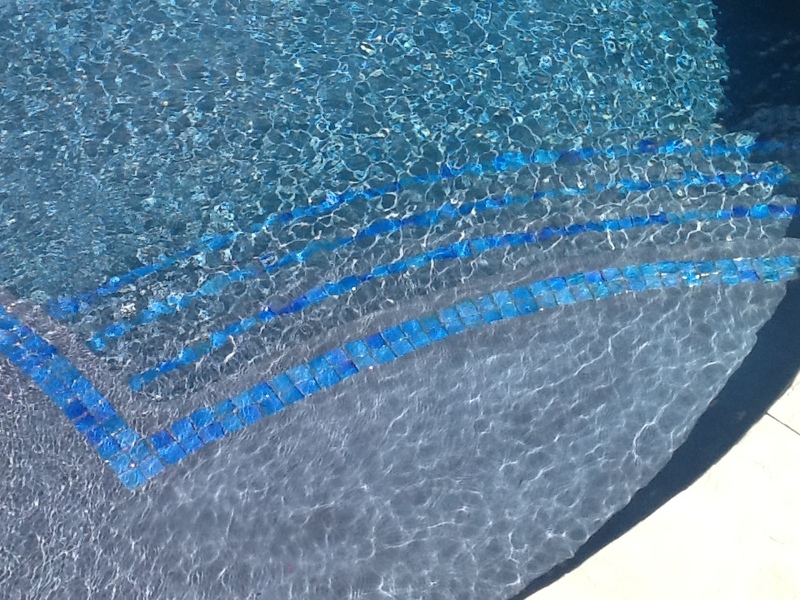 Fall and Winter months can prove to be some of the toughest pool months on your swimming pool. 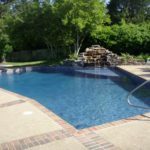 Allowing Goin' Swimmin' to maintain your pool on a routine basis insures you that a professional set of eyes are watching your pool every visit. 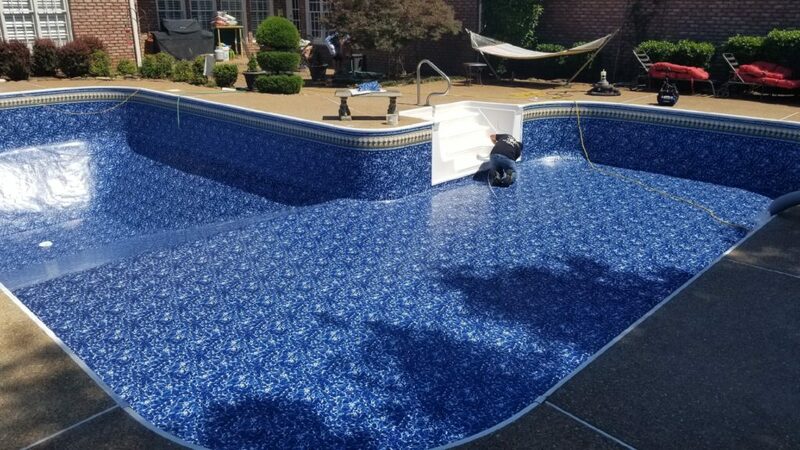 You Do the Swimming and We'll Do All the Work! 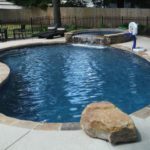 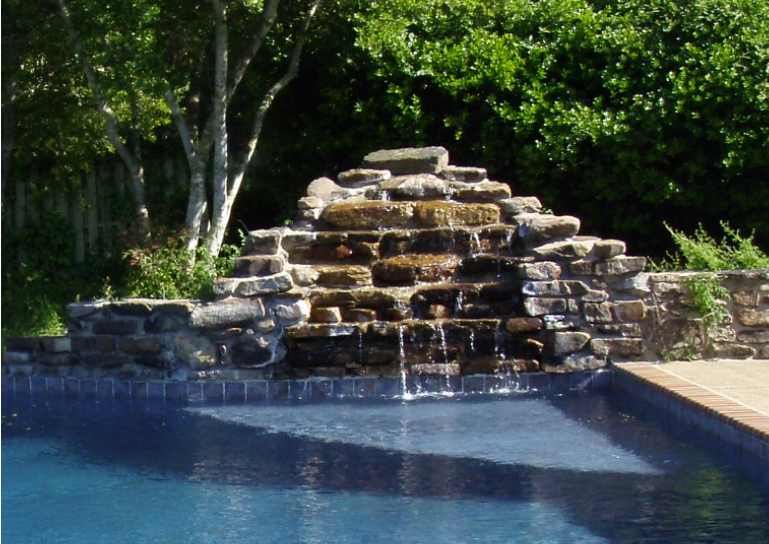 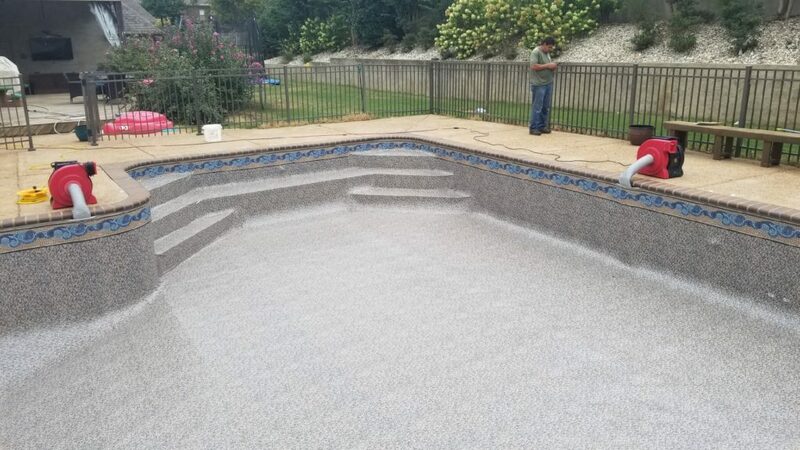 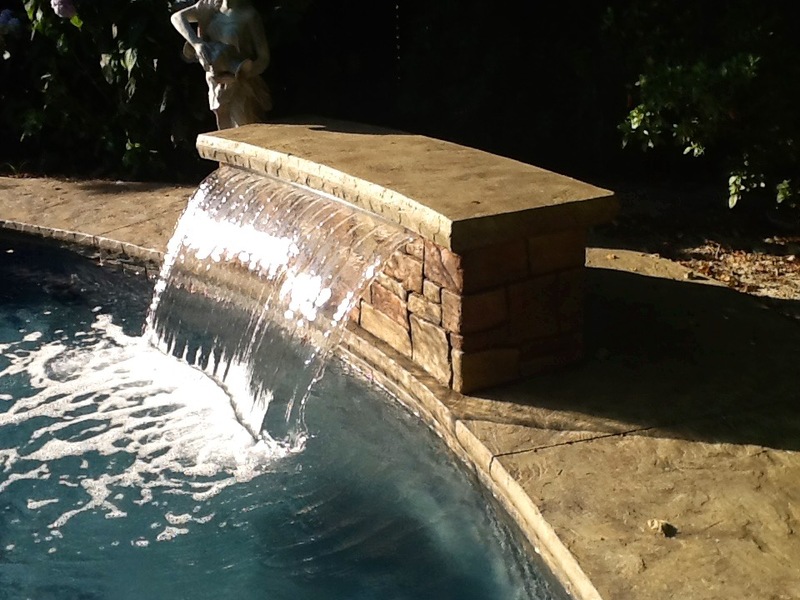 As a Weekly Maintenance Customer, when it comes time for repairs or additions to your pool, you will receive a discount on the work performed. 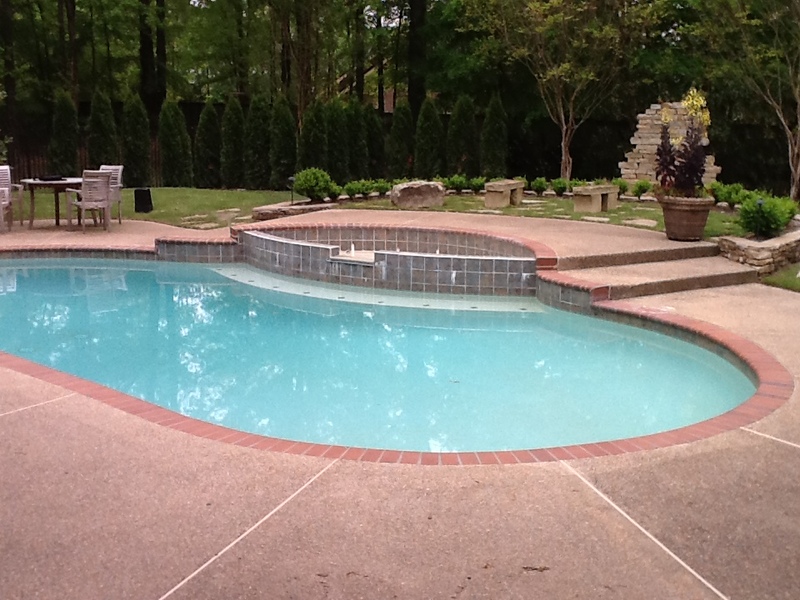 Contact Us to inquire about our Cleaning & Maintenance Services. 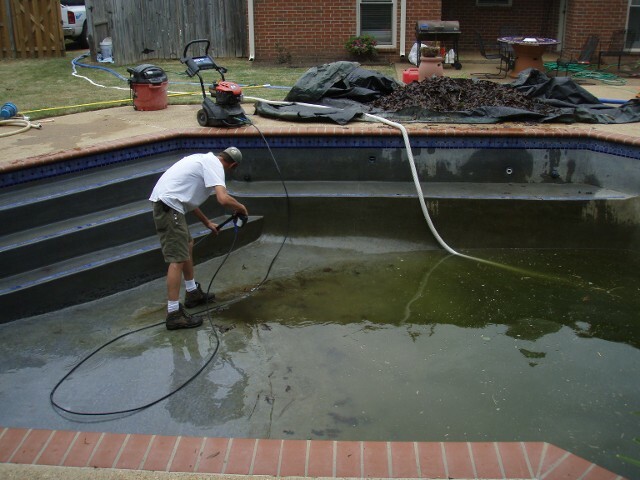 For Drain & Clean services, we take your green pool and give it back clean. 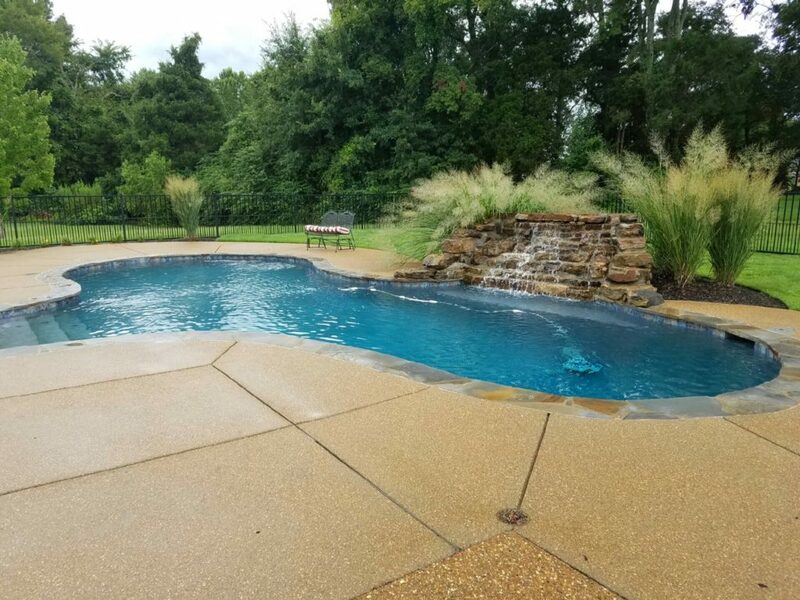 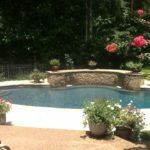 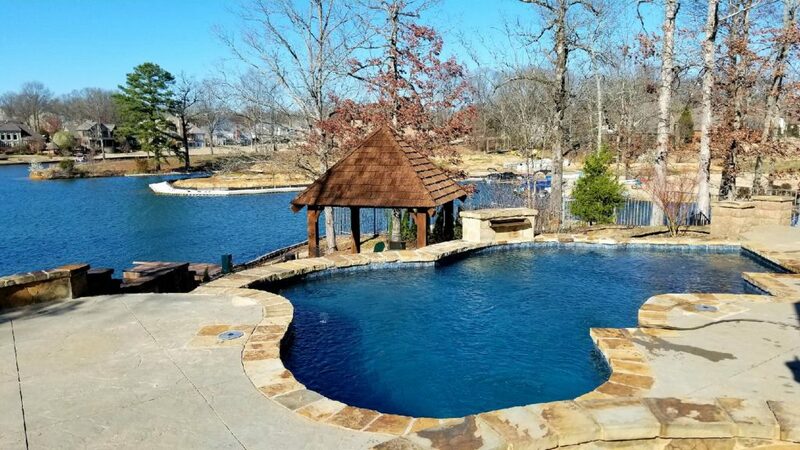 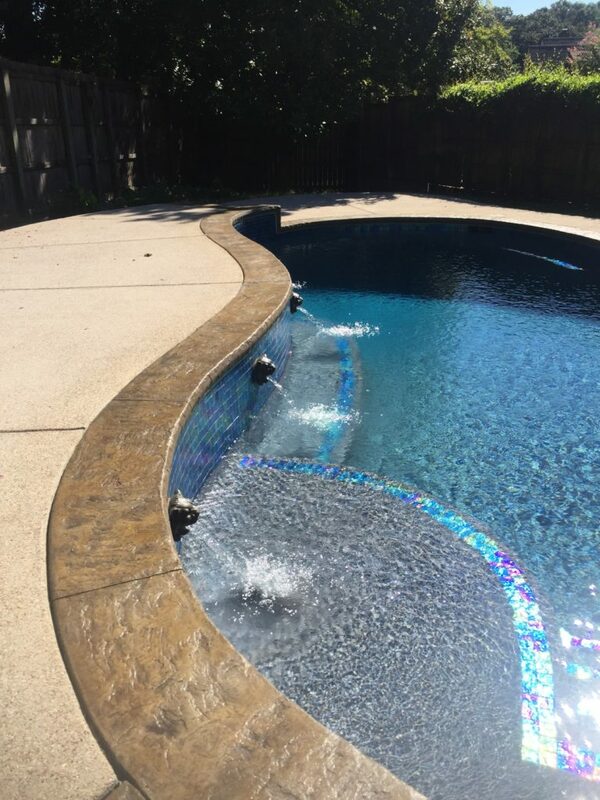 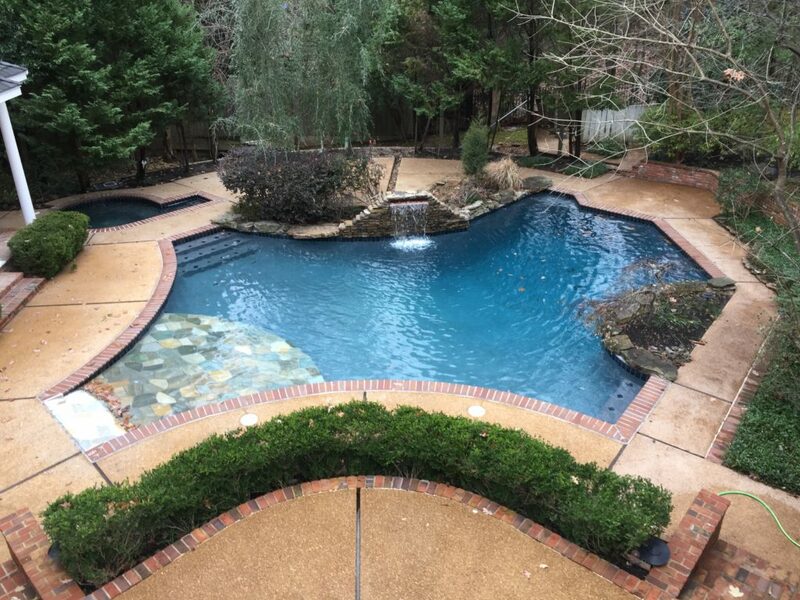 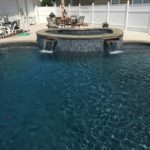 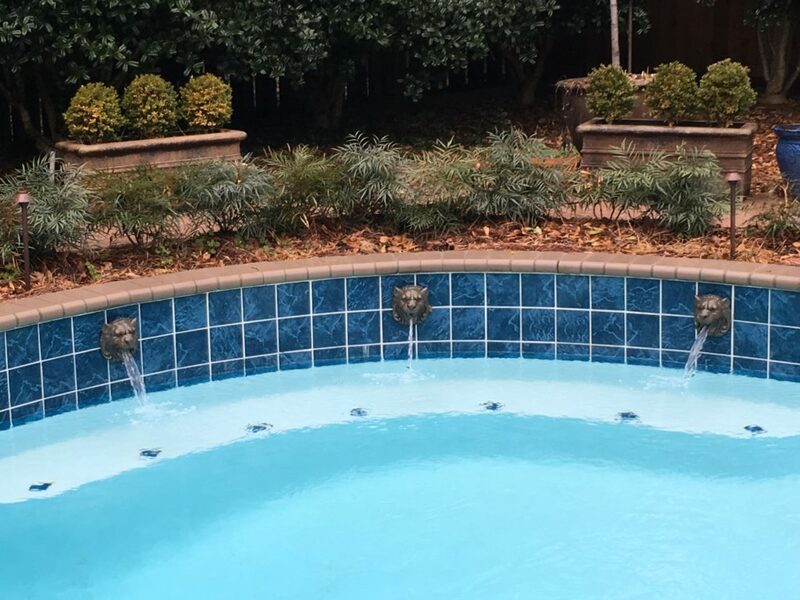 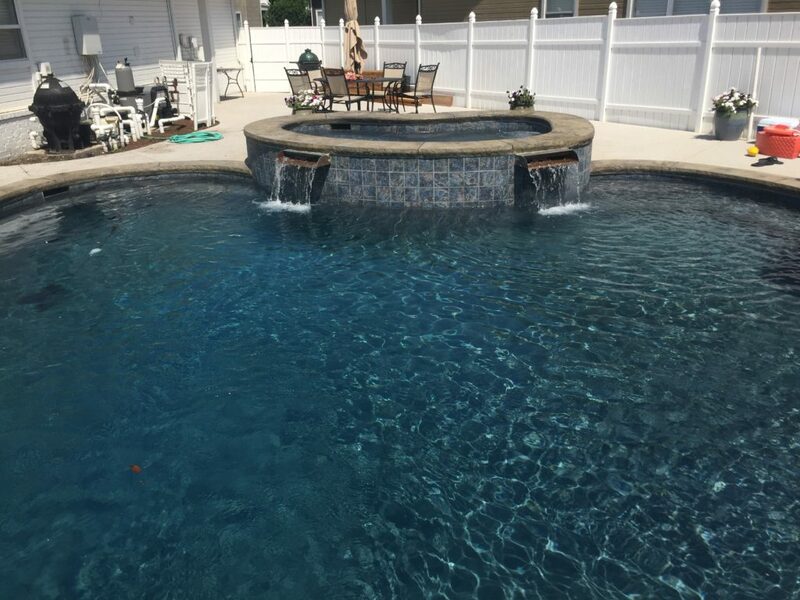 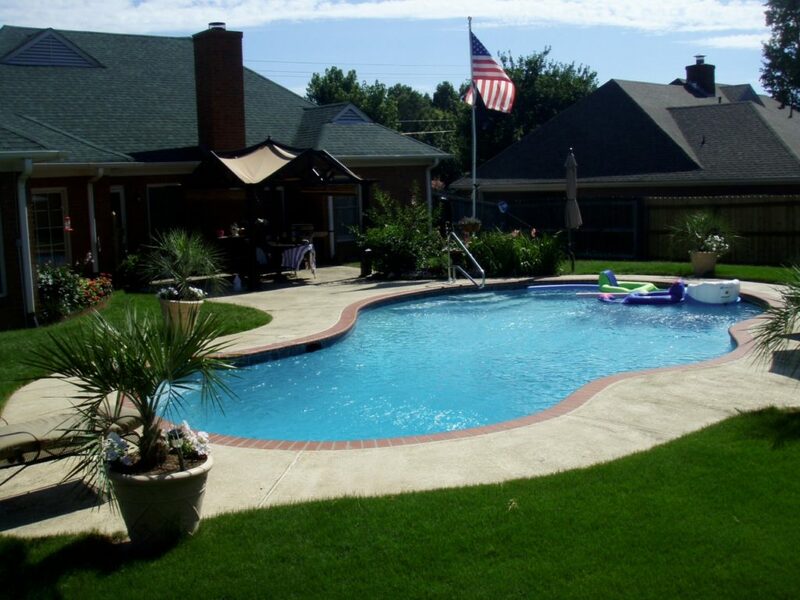 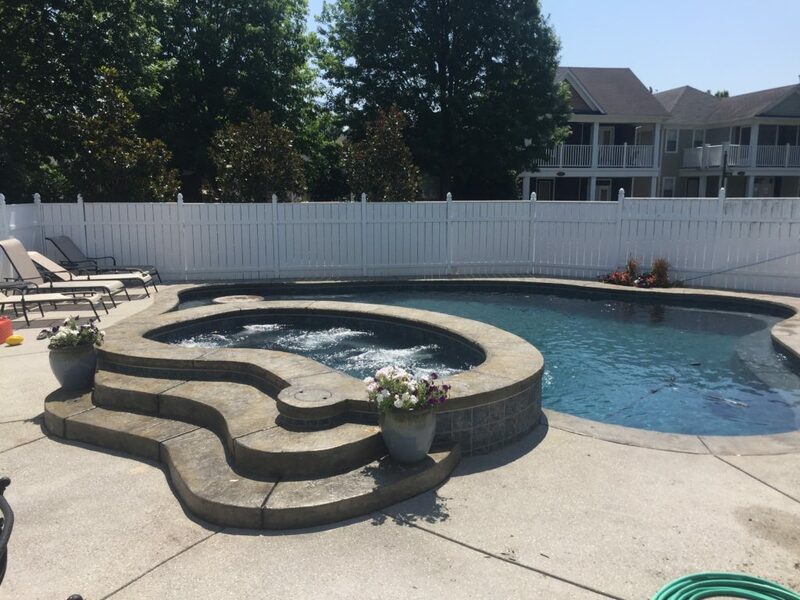 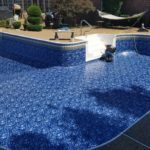 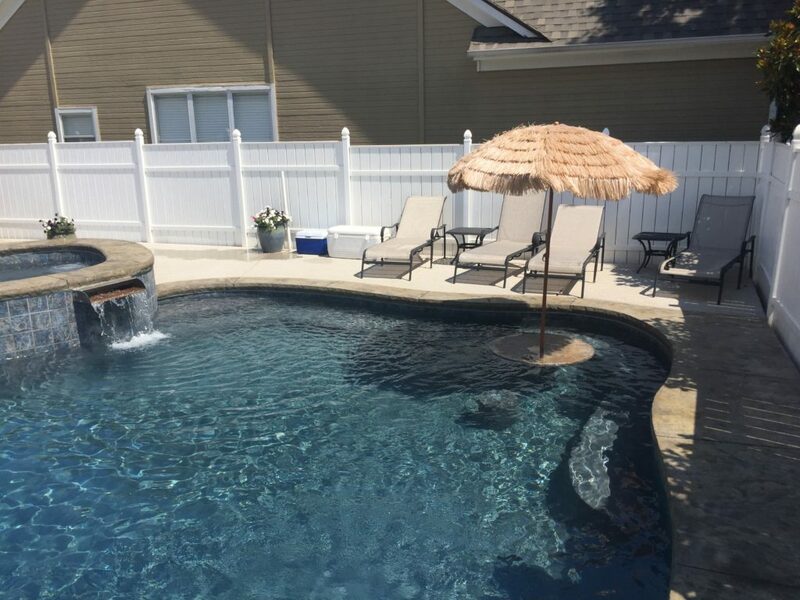 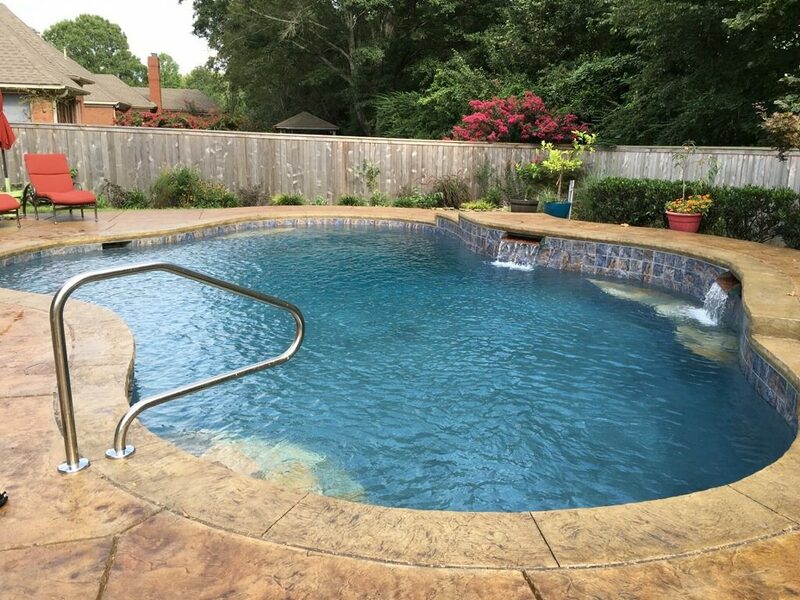 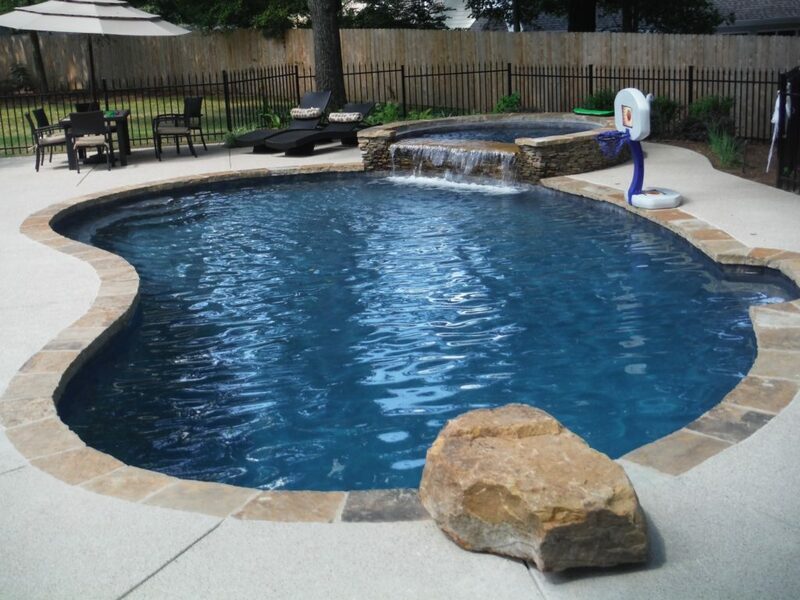 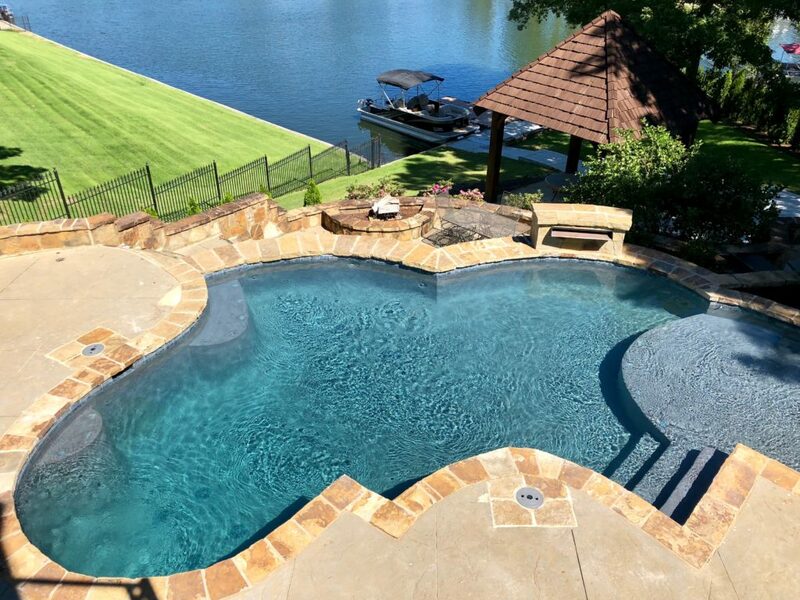 From pumping your pool out, to starting it up again, the professionals at Goin' Swimmin' Pool Service have the expertise you need to make your pool the centerpiece of your home. 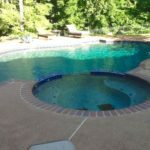 There comes a time when Draining & Cleaning the pool is the fastest and less expensive way to get your pool back up and working. 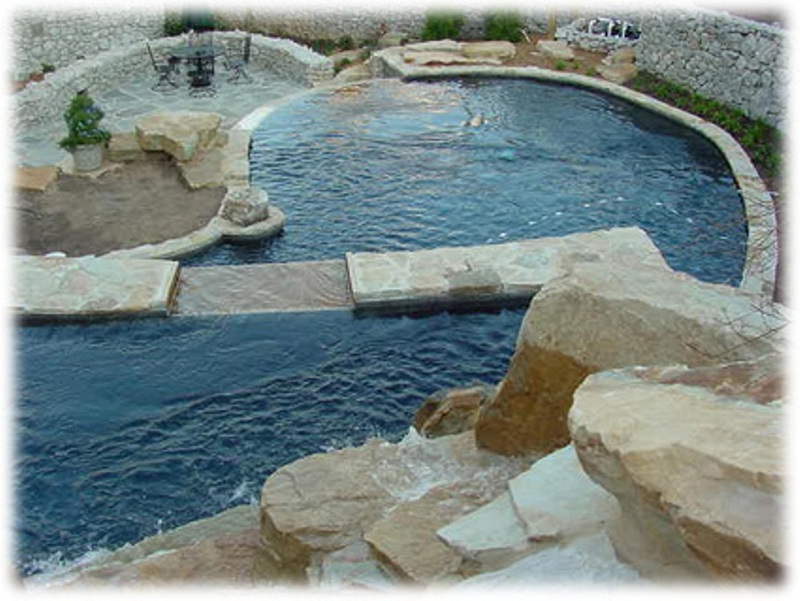 Each pool has to be carefully thought out and planned before "just draining it". 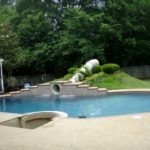 Depending on the time of year, the ground can be too saturated with water and this can put your pool at risk once it is drained. 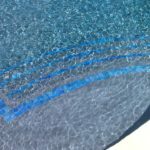 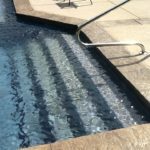 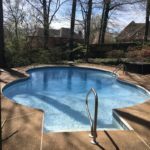 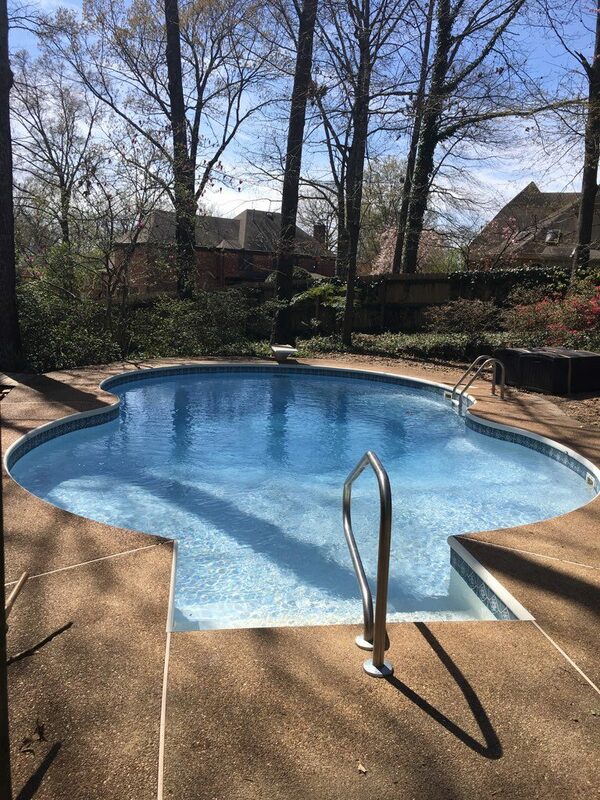 Before draining a vinyl liner pool, you need to consider the age of the liner and amount of elasticity that is left in the liner. 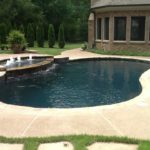 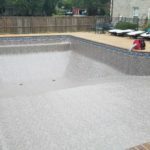 Fiberglass pools are at high risk when they are empty. 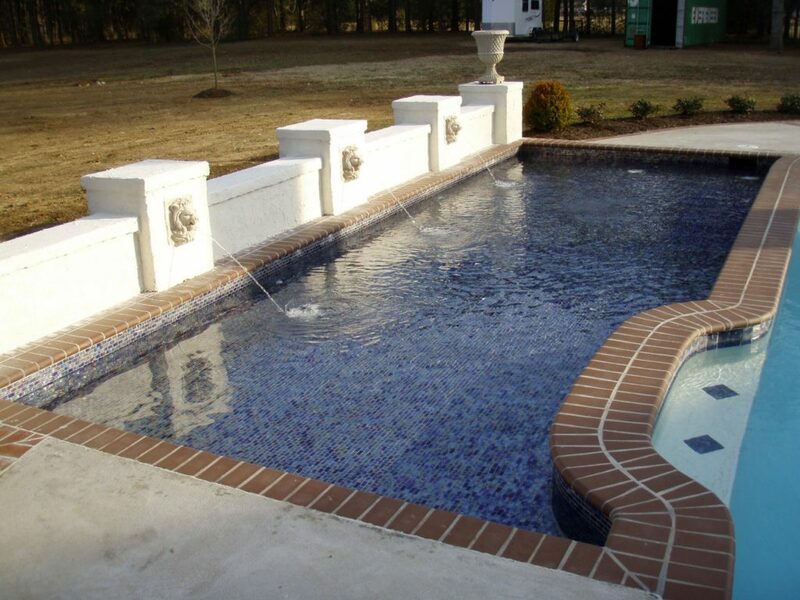 Definitely get a pool professionals opinion before draining your pool. 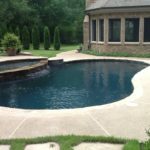 Contact Us and we will be glad to evaluate your situation to determine if our Drain & Clean Services is what your pool needs. 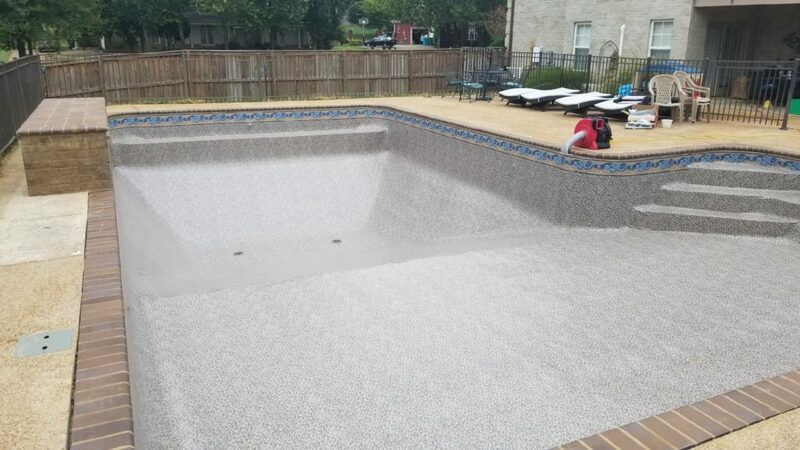 Estimates are Free. 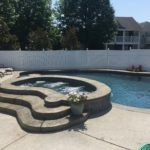 Tearing out and replacing the caulking between the coping and deck area is an ongoing maintenance item to a pool owner. 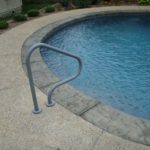 Depending on the amount of movement and shifting that takes place between your coping and deck area, will determine how often you have to replace the caulk joint. 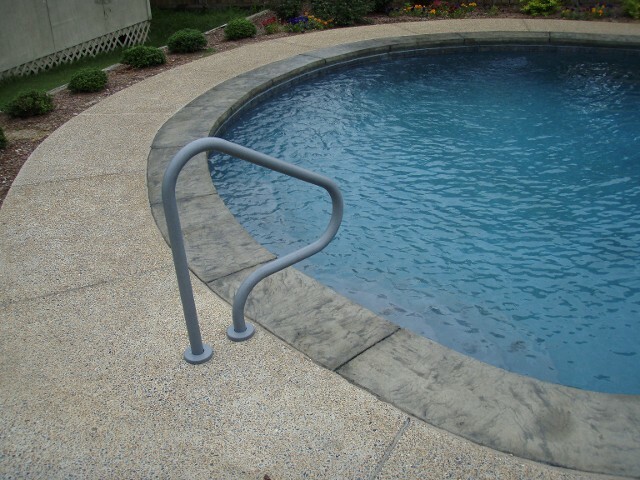 Properly maintaining this caulk joint can significantly reduce the amount of expense you encounter years later. 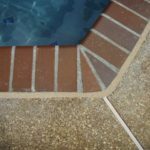 Once water starts getting underneath your decking and coping, erosion starts to take place which leads to cracking of your deck. 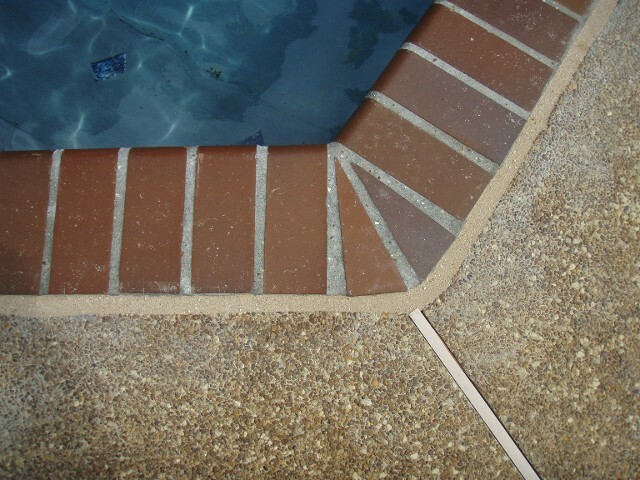 A well maintained caulk joint will also reduce unnecessary repairs that eventually lead up to loose coping and tiles that start to pop off. 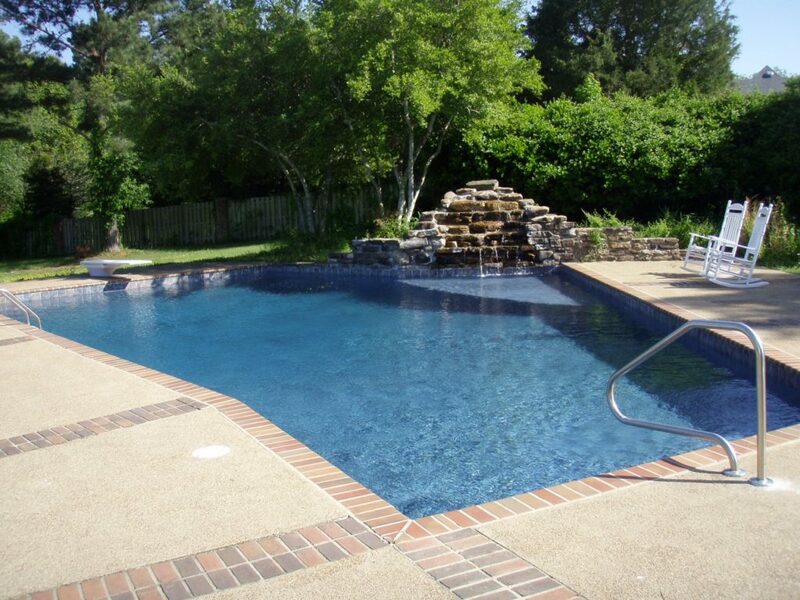 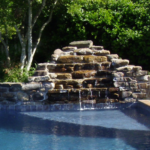 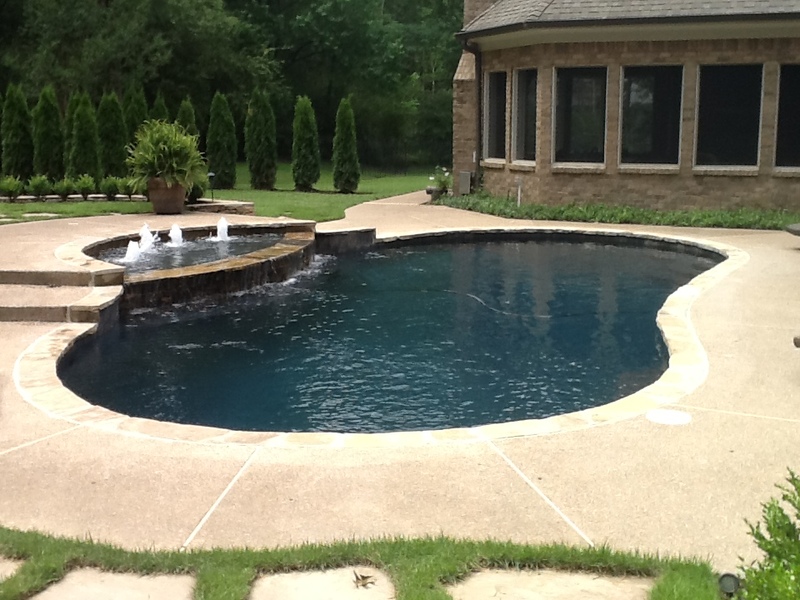 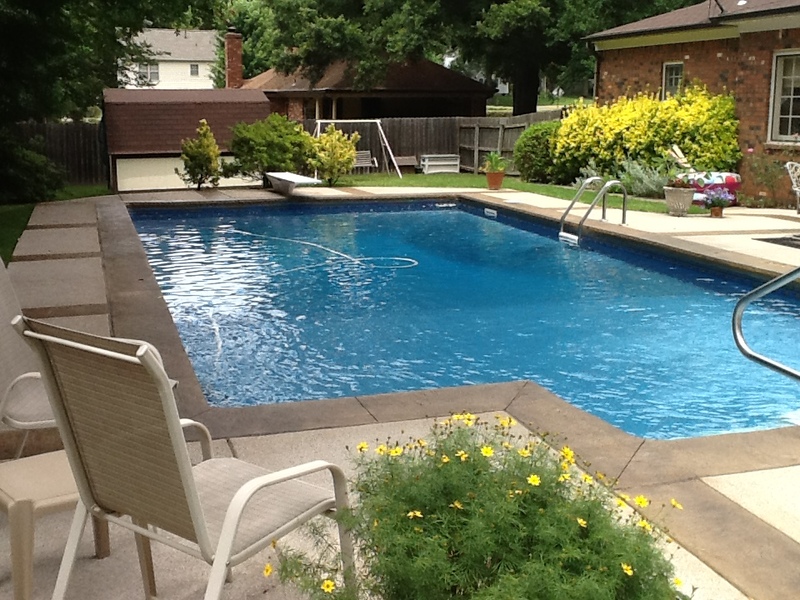 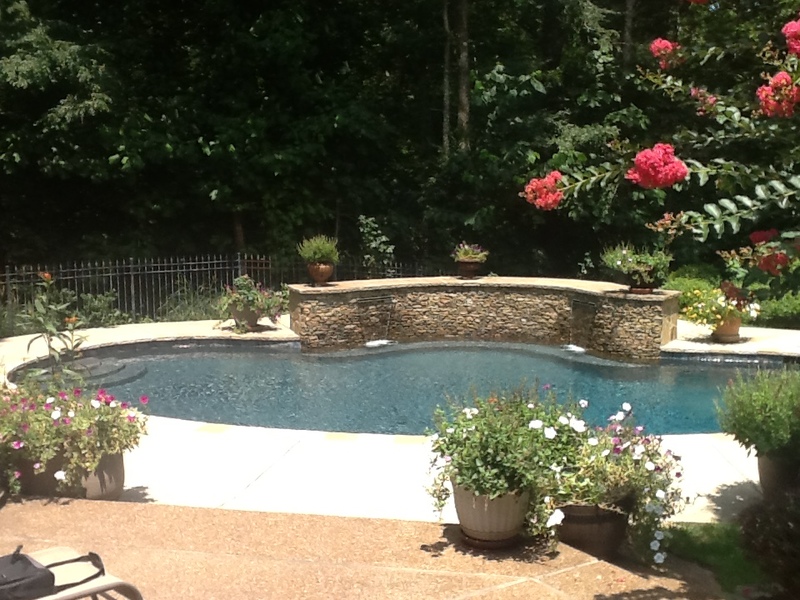 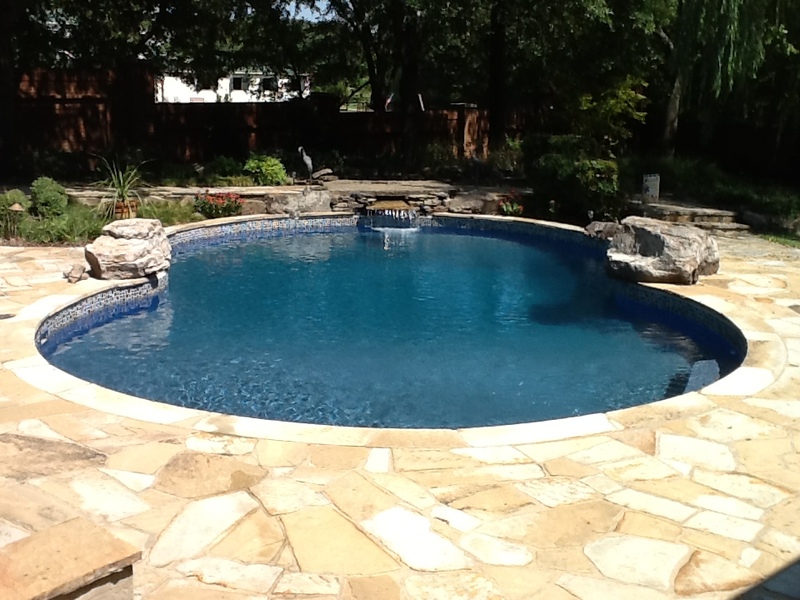 Contact Us and we will be glad to stop by to access your pool and give a Free Estimate.